1997.09-2001.07Ph.D., Geophysics, Institute of Geology and Geophysics of Chinese Academy of Sciences. 1982.03-1984.12Master, Geomagnetism and aeronomy, Institute of Geophysics of Chinese Academy of Sciences. 1978.03-1982.01Bachelor, Geophysical department, Yunnan university. 2011.08 - Now Professor, School of the Earth and Space Sciences, PKU. 2001.10-2011.07 Associate Professor, School of the Earth and Space Sciences, PKU. 2008.06-2013.10 Director of the institute of space physics of apply technology, PKU. Standing Council Member, China Instrument and Control Society Space Instrument Branch. Committee Member, Space Exploration Committee, Chinese Society of Space Research. 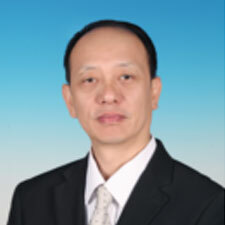 Committee Member, Information Technology Committee, China Geophysical Society. Committee Member, Special Committee for Radiation Hardened Electronics and EMP, Nuclear Electronics and Nuclear Detection Technology Branch, China Electronic Academy. Committee Member, National Technical Committee 347 on Satellite Meteorology and Space Weather of Standardization Administration of China (SAC/TC347/SC1). Committee Member, Space Environment Technical Branch, National Technical Committee 425 on Aerospace Technology and Application of Standardization Administration of China (SAC/TC425/SC1). As the co-worker for the first grade of Scientific and Technological Advancement Award of Ministry of Education in 2009.